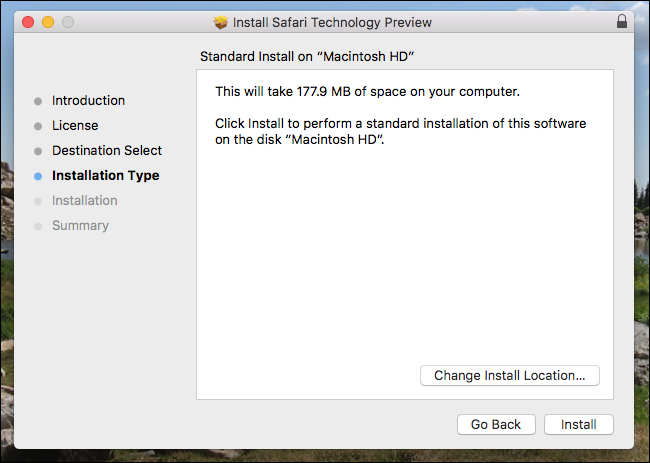 Some of the coolest new features in the upcoming macOS 10.13 High Sierra are in Safari, and you can try them out now without upgrading your entire operating system. During WWDC 2017, Apple bragged about faster Safari performance, showed off a new block feature for any and all autoplaying videos, and talked about blocking ads from tracking your movements. You can try these features out with Safari Technology Preview. This free download is primarily intended for web developers, who can use the tool to confirm their sites will work on upcoming versions of Safari for macOS and iOS. But it’s also a quick way to try out new features, including those upcoming in macOS High Sierra. To get started, head to the Safari Technology Preview page on Apple’s website, then download the version for your current operating system. Mount the DMG file and you’ll find a PKG file. Double-click the PKG to run the installation process, following the prompts to install the software. 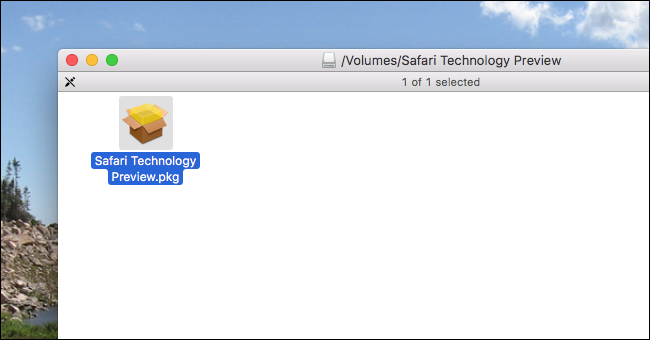 When the installer is done, you’ll find Safari Technology Preview in your Applications folder. The icon looks the same as Safari’s, but is purple instead of blue, making it easy to tell the two programs apart. And they really are two different programs. None of your Safari settings will transfer over—no bookmarks, no history, nothing. It is, for all intents and purposes, a separate browser. You really, really shouldn’t use Safari Technology Preview as your primary browser: Apple is still working out bugs. But if you just want to see the new features in the pipeline, you can. 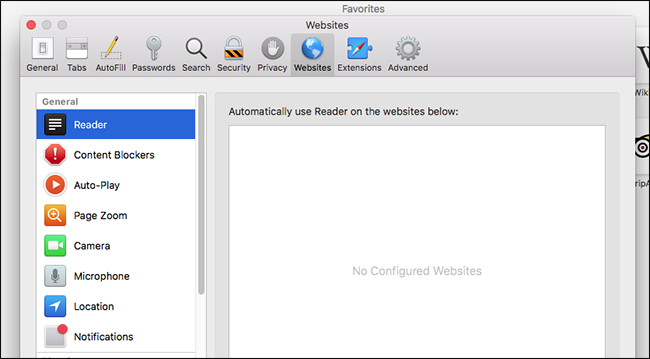 For example: there’s a new “Settings for This Website” item in the menu bar, found if you click “Safari Technology Preview.” This lets you use Reader Mode by default on any website, which is a brand new feature Apple never discussed. I tried this out, and it’s awesome. 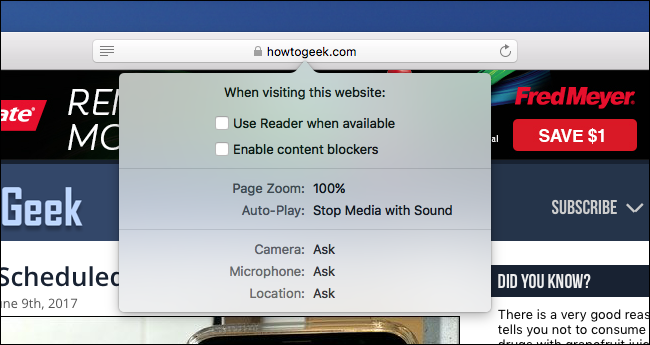 You can also enable content blockers on a per-site basis, set a custom zoom for a site, and prevent videos from auto-playing. You can review all of your settings thanks to the new “Websites” section in Safari’s preferences window. I’m pretty excited about these features. If you’d like to try them out, without upgrading your entire operating system, I suggest you give Safari Technology Preview a spin. I think everyone should ditch Google Chrome for Safari, and these new features only add to that conclusion.